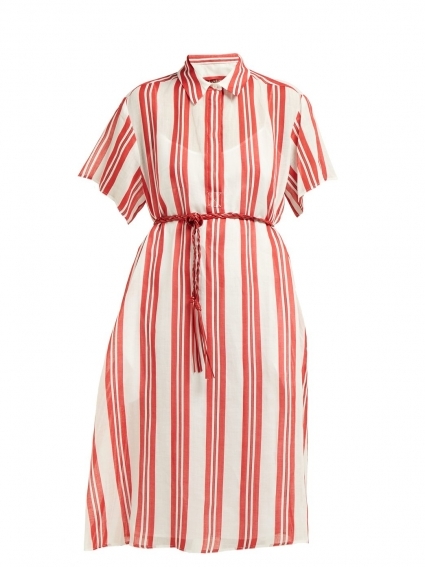 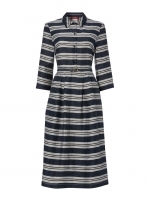 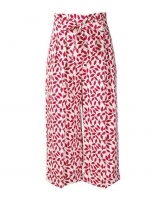 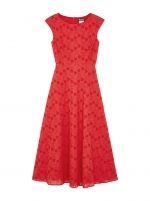 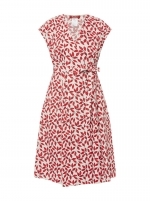 Max Mara Studio’s Lama dress features a bold red and white striped pattern that evokes a vacation mood. 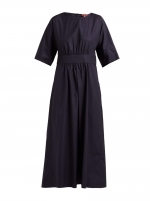 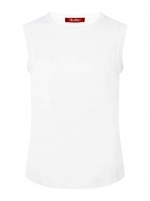 It’s crafted from ramie poplin – favoured for its breathability and silky feel – with a point collar, concealed button front placket and features short sleeves, a braided leather waist belt and a removable white slip dress. 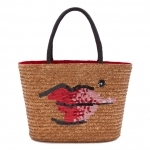 Team it with a basket weave bag and white sandals for polished promenade style.